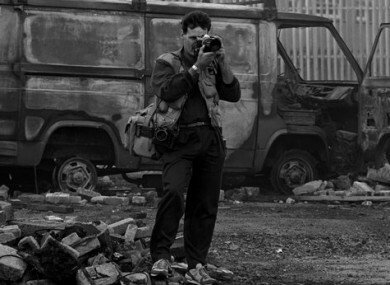 A look at the individuals who unwittingly became war photographers on the streets of their own towns when violence erupted around them, focusing on a number of Northern Irish photographers who witnessed the Troubles from their inception in 1968 until the signing of the Good Friday Agreement in 1998. The programme features in-depth interviews with photographers Alan Lewis, Paul Faith, Hugh Russell, Martin Nangle, Crispin Rodwell, Trevor Dickson and Stanley Matchett, who reflect on some of the most important photos they’ve taken in their lives. Angela Rippon investigates new methods scientists are searching for to fight bacterial infection, revealing how a growing number of bacterial diseases are becoming resistant to the antibiotics currently in use. She meets a GP on the frontline in the fight against infection in the hopes of finding out how people can take part in the effort to keep the ‘miracle cure’ we know as antibiotics effective for people who really depend on them. A brand new comedy drama series that kicks off tonight, following 24-year-old Marnie, a young woman plagued by intrusive sexual thoughts in the form of an obsessive compulsive disorder, nicknamed ‘Pure O.’ In the first episode, chaotic Marnie is at the end of her rope, so she jumps on a bus to London with plans to change her life once and for all. Everybody’s talking about… The very small Friends reunion that took place on Ellen this week. An Balla (TG4, 9.30pm) Síle Nic Chonaonaigh embarks on a journey to meet some of the people living in the shadow of the Israel-Palestine wall. Danny Dyer’s Right Royal Family (BBC One, 9pm) Episode two in the series which follows Danny Dyer as he traces his royal ancestry. 50 First Dates (Comedy Central, 8pm) Romantic comedy starring Adam Sandler and Drew Barrymore. Operation Transformation (RTÉ One, 9.35pm) The monitoring of the contestants continues. The Undateables (Channel 4, 9pm) After the festive proposal, Daniel and Lily see what life will be like living as a married couple before they finally move in together. The Beatles: Eight Days a Week – The Touring Years (More 4, 11.05pm) A look at the brief but wildly successful touring years of The Beatles. The Bridge (TG4, 10.30pm) The Danish-Swedish crime series continues.